I know it’s beautiful isn’t it? 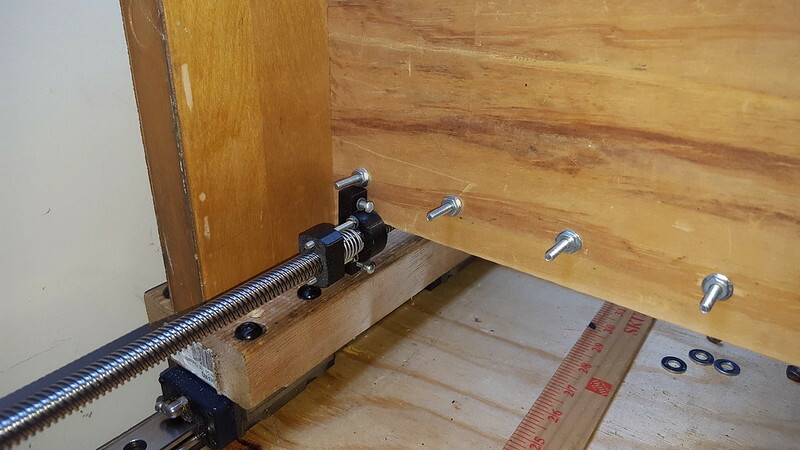 I’ve been using and researching acme screws for about ten years and at one point had access to a fancy acme tap which has since gone missing and that’s a shame as it cost a few hundred dollars. This tap would have allowed me to create the same style anti-backlash nut as shown above but in a more solid material like brass or steel. 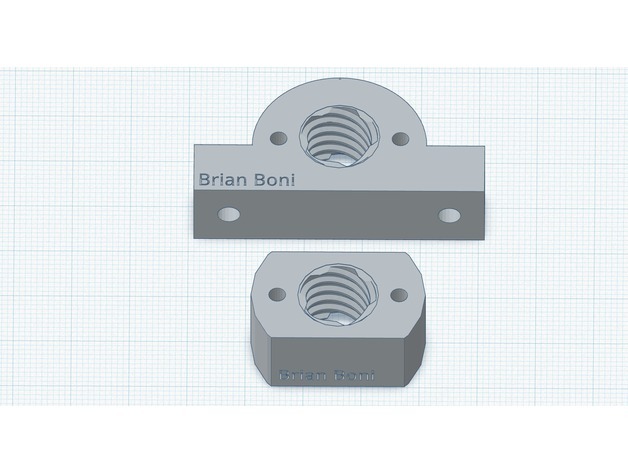 Thanks to some kind thingiverse user I found a cad model for this exact thread and I used it to 3D print a few hex nuts just to see if it worked. 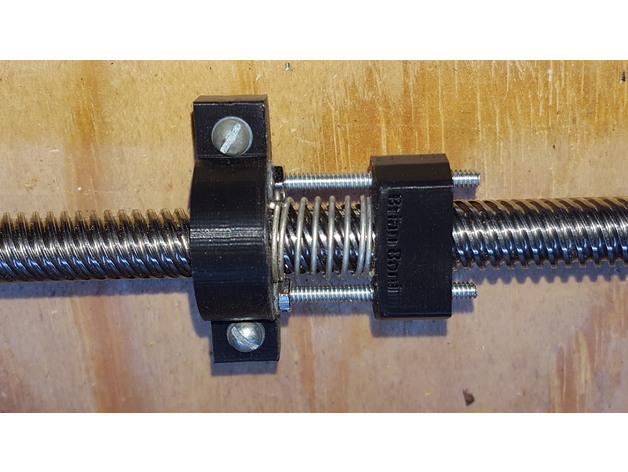 When I printed and then threaded the nut it was a bit more than surprising that I could actually print a thread, mind you a 1/2″ acme thread is about as course as you’ll ever see this side of ship or bridge parts. In the cad image above you can see clearly how the threads on a five start acme nut work. 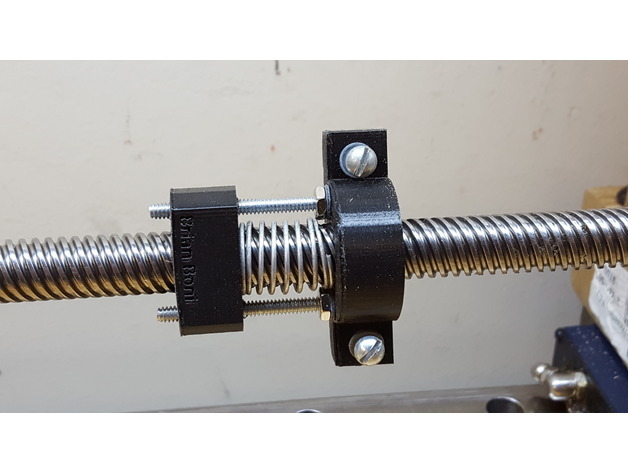 The springs apply tension to keep the nut from wobbling on the threads so the small nut is located from turning by the 10-24 bolts. Better hardware would be some kind of shoulder bolts and I will keep my eyes open for them but for now the tiny threads pose no problem for the amount of travel required here. The test fixture pictured above allows some torque to be applied and the deviation measured by a dial gauge (not pictured, sorry) Meccano is handy for quick fixtures. Here’s the nut mounted to the side of my Y axis gantry. Another shot of the gantry. 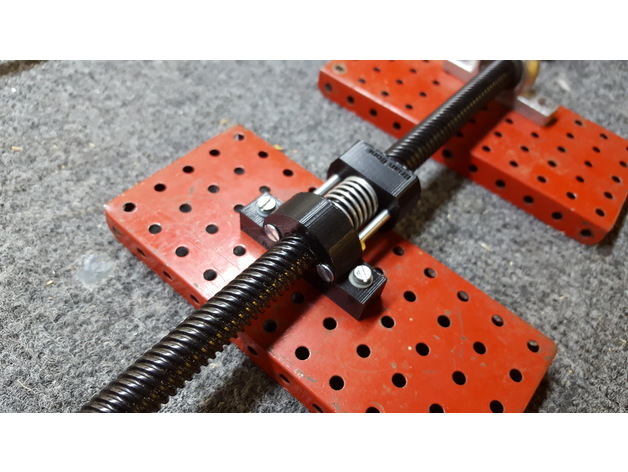 Video of Acme screw in action. If you’d like to see the CAD files check out my Thingiverse page.